Samsung's Nexus smartphone joins Apple's Galaxy Tab injunction. Samsung recently faced a ban on sales of its tablet in the US, as a result of its ongoing patent dispute with Apple over alleged design similarities between the iPad and the Galaxy Tab. Samsung immediately filed a motion to stay, but its hopes were dashed. Not only is the ban still in place, but the judge also slapped an injunction on sales of the Galaxy Nexus smartphone. "Samsung is disappointed with the court's decision," said the company in an official statement following the ruling. It intends to continue to appeal against the injunction, saying that it believes "today's ruling will ultimately reduce the availability of superior technological features to consumers in the US," unless it can get the injunction lifted. 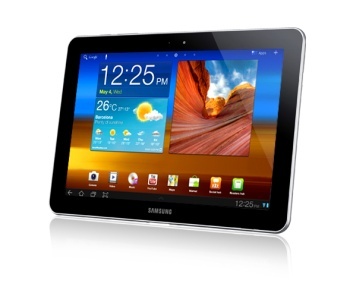 The Galaxy Tab is the closest competitor to Apple's iPad, but Apple still dominates the market. Market forecasters expect iPad sales to make up 61.4% of all tablet sales in 2012; that's out of a grand total of 105 million units estimated to be purchased this year. Regardless, Samsung has reason not to be too concerned about this decision, as the shipment volume of Galaxy Tab and Nexus smartphones is relatively small. Also it usually takes a while for the courts to process injunctions, so Samsung has some time to unload stock before the banhammer comes down.